Tom Glavine is one of only 24 pitchers in Major League history to earn 300 career wins. The 2-time Cy Young Award winner was a 5-time 20-game winner and 10-time All-Star. He helped lead the Atlanta Braves to a World Series championship in 1995, where he was also named the Series MVP. Glavine was elected to the Baseball Hall of Fame in his first year of eligibility in 2014. 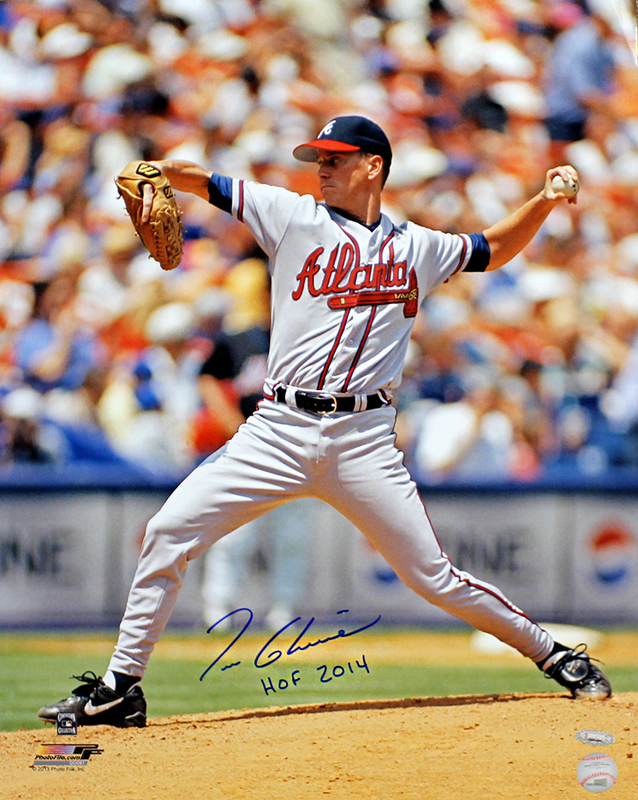 This Atlanta Braves 16x20 photo has been hand signed and inscribed "HOF 14" by TRISTAR Exclusive Tom Glavine. Each autograph is guaranteed authentic, and includes an individually numbered TRISTAR Authentic hologram.